April natural gas continued to consolidate last week, but the weak close could mean another test of the support. Last week, the market sold off sharply after testing downtrending resistance at 2.7250. This has put the market in a position to break into uptrending Gann angle support at 2.6380 or 2.5380. A successful test of these two support angles will mean that buyers are stepping up and that a secondary higher bottom may be forming. If this occurs then all it is going to take is a breakout above 2.7250 to fuel an acceleration to the upside. Of course, increased volatility with rising volume will be necessary to drive the market away from the major bottom at 2.4380. 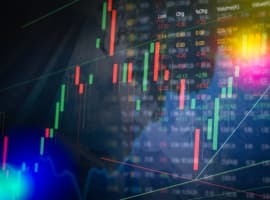 That technical assessment sounds rosy, but in reality, the main trend is still down and it looks as if short-traders are beginning to regain control after the month-long consolidation. The bottom was put in when President Obama mentioned natural gas in his State of the Union Address so it makes sense that if this market is going to move higher, some event is going to have to ignite the rally. At this time, despite last week’s slight drawdown in supply, the fundamentals remain bearish. Although March may start out cold, temperatures are expected to be above average. This should help to keep a lid on any rallies. Over the past few weeks, several companies have curtailed production, but this may not be enough to stop the surge in inventories. 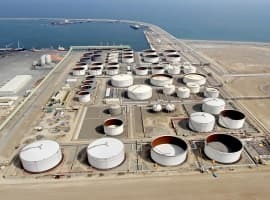 As winter comes to an end the focus has clearly shifted back toward oversupply concerns and gas inventories that are 41 percent higher than last year. Full capacity at some time this year is also a concern. Production must slow down at some point because with warmer temperatures just weeks away, inventories will rise. There was one development that took place last week that could have long-term ramifications if other communities begin to enforce similar actions. Last week New York state judges voted to ban fracking for natural gas in two New York towns. Environmentalists had successfully argued that the practice threatened the water supply. It’s a long shot, but if this becomes an issue then it is possible that other communities will try to shut down drilling practices. This could slow down production, but it is not known at this time by how much. The outlook for this week is “iffy”. Last Thursday’s and Friday’s trading activity was bearish. This is likely to lead to spillover selling on Monday. This could set the tone for the week especially if bottom-pickers decide to give up their positions. No one will be left to defend the bottom at 2.4380 and the market is likely to finish the week with a new low close for the year. The only way to turn bullish at this time is to see strength. This means a breakout to the upside. And this is not likely unless traders can drive the market through resistance at 2.7250 with conviction. Weather: March may begin with cold temperatures, but winter may be ending with a whimper as traders expect temperatures to remain above average for the majority of the month. Based on this assessment, demand should take a hit. Supply and Demand: Demand could fall hard if temperatures continue to rise. Although some firms have cut production, many have not so production remains high. Chart Pattern: The market has been consolidating but last week’s close was weak, leading to speculation that long traders are beginning to pare their speculative positions. If this practice continues then we could see a new low for the year next week. The only event that will turn this market higher will be a breakout over 2.7250. 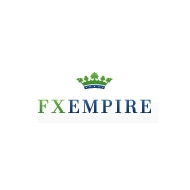 FXEmpire.com is the Forex flagship site of the FX Empire Network. The FX Empire Network provides readers with the most expert and most timely technical analyses, fundamental analyses and news-pieces; this in order to empower them to make for themselves the best possible financial decisions. 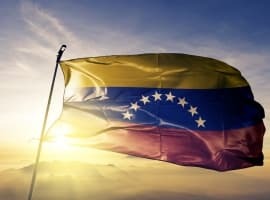 FXEmpire.com is updated daily with video based Technical Analyses, text based Fundamental Analyses and news-pieces. Our readers receive a review of the past week’s market activity coupled with an outlook for the upcoming week and regular market updates.